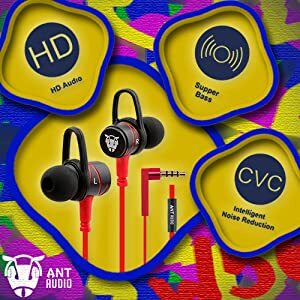 Color:Black Dynamic Drivers Provide Stereo and Crystal Clear Sound This headphone delivers the powerful, bass-driven stereo sound with greater clarity and improved dynamics. Designed specially for those who enjoy classic music, rock music, pop music, or gaming with superb quality sound. Comfortable There are three sets of soft silicone rubber ear tips for Ant Audio W56 (L/M/S), please choose the right size that can fit your ear perfectly, so you can enjoy a personalized fit as well as a high passive attenuation of ambient noise. Compatibility Compatible for iPhone X 8 8Plus 7 7 Plus 6 6S Plus /iPod /iPad, for Samsung Galaxy S7 S6 Edge S5 S4 Note 5 4 3, for HTC /LG /Sony, for Xiaomi /Huawei /Lenovo All Smartphones, for Redmi Smartphones, for OneplusOne smartphones, MP3 Player, Computers, etc. Products Details: Compatible System: Android/Windows/iOS/PC Driver unite size: 10mm Max input power: 5mW* Sensitivity: 105±3dB N.W: about 17g Impedance: 16Ω Length: 130cm ±5 Frequency range: 20Hz-20kHZ Jack plug: 3.5mm Headphones category: In-Ear headphones Headphone type: Wired Friendly Remind: To avoid hearing damage, make sure that the volume on your music player is turned down before connecting your Ant Audio W56 in-ear headphones. 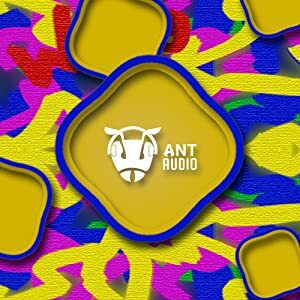 We consider Ant audio to be a direct solution for fulfilling your need for an audio deliverance experience which is designed in a way that the music you listen to provides an out of body experience. Available in awesome 4 colours the W56 is designed for the youth. Ones who wouldn’t settle for anything less; ones that will go to any length to attain that perfection.